Anthony Thomas (Tony) is the Chief Information Officer (CIO) for GE Global Growth Organization (GGO). In this role, Tony works closely with our GE business partners across all regions outside USA to understand their local needs and deliver in-market solutions that support our global technical strategy. Additionally, Tony is responsible to help execute GE’s IT global shared services vision and is also the CIO for GE South Asia region. Tony joined GE in September 2015. Prior to joining GE, Tony has worked at Vodafone, Citigroup, Ernst & Young, etc., among other leading organizations and held leadership roles in Management Consulting, Information Technology , Business Operations and has made many key contributions to Information Technology. In his previous role at Vodafone, Tony was instrumental in building a strong partnership between IT and the rest of the business. Under his leadership, Vodafone rolled-out the new central IT structure and laid the foundation for a world-class IT delivery team focused on business outcomes. He played a key role in helping the company achieve an all-time high satisfaction with IT employee, partner engagement and customer satisfaction. During his tenure at Citigroup, Tony championed the digitization of key Banking processes, and led the development and launch of eDelivery platform for global Digital Delivery. 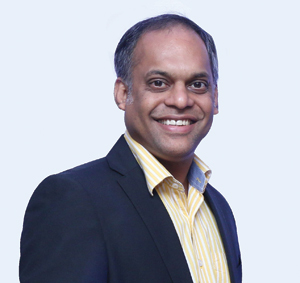 Tony is a recipient of many industry awards for innovation and technology and is an active member in the startup ecosystem being an active mentor, founding member of CIO Angel Network (CAN), and a member of Indian Angel Network (IAN). Tony has been a core member of Reserve Bank of India’s Technical Committee on Mobile Banking; core member of CII National Committee on IT, ITeS & eCommerce; ASSOCHAM National Council on IT/ ITeS; Cellular Operators Association of India (COAI) etc.